Day one saw an early start to our expedition as we met the coach just outside the centre of Rotherham for our journey down to the Isle of Wight. We had the one stop on the way down to Portsmouth, as cadets just love burgers, and arrived at the port with a couple of hours to spare. We spent that time in groups having a look around Portsmouth and managed to grab some glimpses of the new aircraft carrier HMS Queen Elizabeth, which had arrived just a couple of days before us. After a delayed crossing we arrived at the centre and were pleasantly surprised at the high standard of the log cabins we had been allocated for accommodation. If Carlsberg did adventure centres…..
After the evening meal and centre familiarisation the first activity was the campfire. This was a great way to unwind after a day of travelling, and worked well with the weather. The group got to spend the evening in the outdoors. Relaxing and enjoying some quality time together whilst they toasted marshmallows, sang songs and played games. 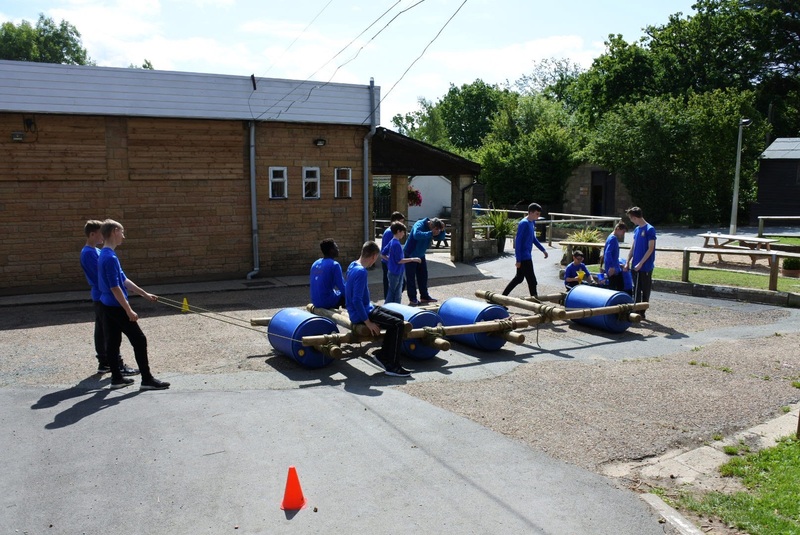 Then the cadets did a buggy build challenge which gave them the opportunity to work as a team and encourage some lateral thinking! Each team designed and built a moving buggy that would carry the team members and complete a series of challenges, using just the materials provided. Creativity, communication and perseverance all came into play throughout this interactive and fun challenge. The challenges also involved transporting water, as you can guess most of this ended up on the cadets. The day finished with an ambush activity around the centre, which gave the young people a chance to let off some steam at the end of the day. Day three started with Archery. The centre has its own outdoor range and they encouraged safety awareness from the outset as the instructors taught the basics. It had great individual and team challenges, which needed accuracy, control, concentration and a steady hand. The cadets particularly enjoyed the competitive nature of the activity and the forfeits from the games. The cadets were then encouraged to consider how they use their senses; how much they rely on their sight, touch and hearing. 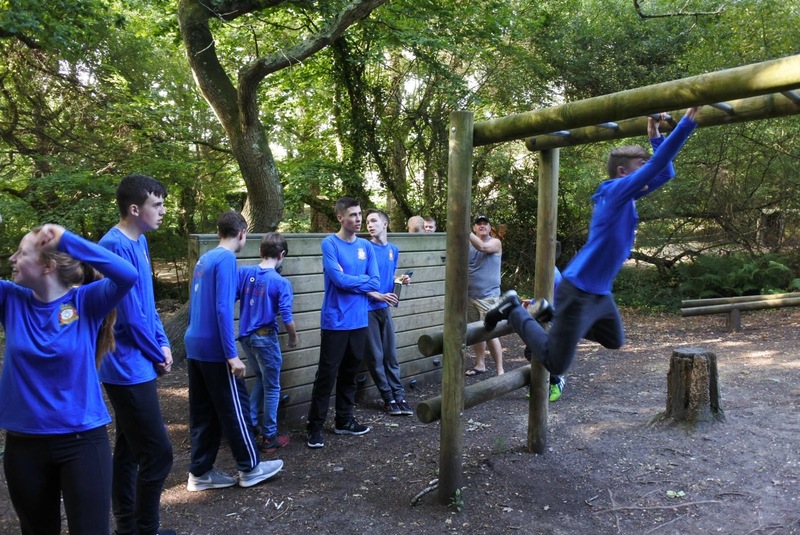 They were then blindfolded before setting off to complete the Sensory Trail – negotiating obstacles and carrying out a series of challenging tasks. It’s was an extremely effective way to help them develop trust in one-another and improve their communication skills. On the ground, they were introduced to basic climbing techniques and once on the wall, each cadet needed determination, clear thinking and adrenalin to reach the top! They built different skills, involving perseverance, strength, risk control, and the need to trust in their belay partner and equipment. Corporal Keith Mavenganise, really enjoyed this activity and tried several times to set a personal best time for the climb. 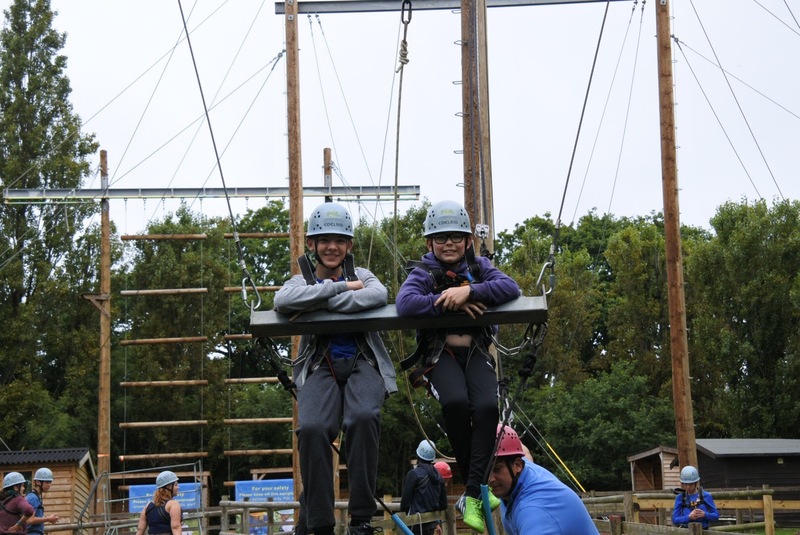 The Giant Swing had two members of the group harnessed into a swing while the rest of the young people hauled them upward – up to 10 metres into the air! The two people in the swing had to reach a joint decision about when exactly they wanted to pull the ripcord that sent them plummeting earthward! The fall was fast, exhilarating and lots of fun! This was a firm favourite with the entire group. The day finished with a Splash activity meeting challenges to get pieces of equipment to protect a water balloon before retiring to their cabins, all thoroughly exhausted from their activities. Our fourth day commenced with Problem solving exercises, a series of challenges that featured puzzles and physical problems that tested the young people’s initiative and ingenuity. 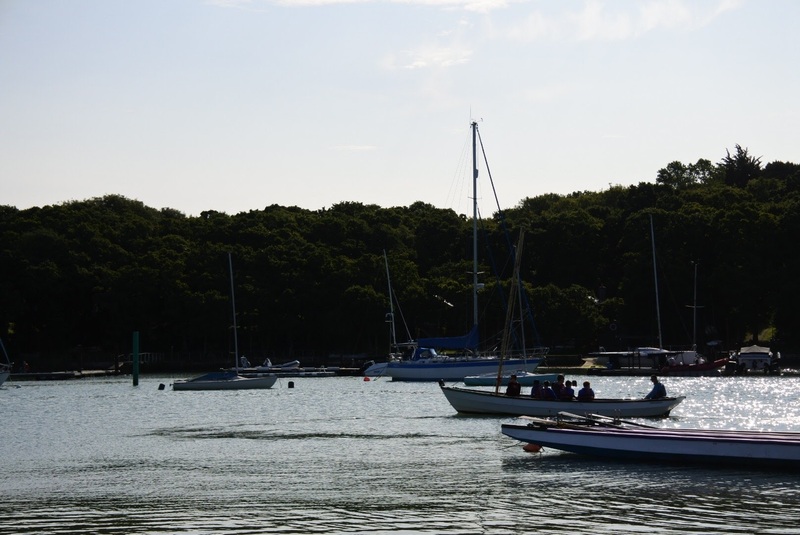 The cadets worked closely together in small teams, sharing ideas and completing set tasks. It was an activity that helped them gain a good appreciation of each other’s strengths when it came to planning, communicating and making decisions. It was back to the water next as we divided into two halves to learn to paddle rhythmically and effectively in a race across the water against each other in dragon boats. Tactics, technique and brute effort all played their part, but ultimately, it was just a lot of fun and laughter with no real losers! Next was the Cat Walk, so called because it’s an activity to test those skills a cat would be good at. The cadets began by ascending the full height of a telegraph pole, safely attached to a harness. Once at the top, they had challenges to test their individual balance, skill and courage. The cadets watching from the ground offered lots encouragement and support so it was great for teambuilding too. We then had an activity based nearer the ground. 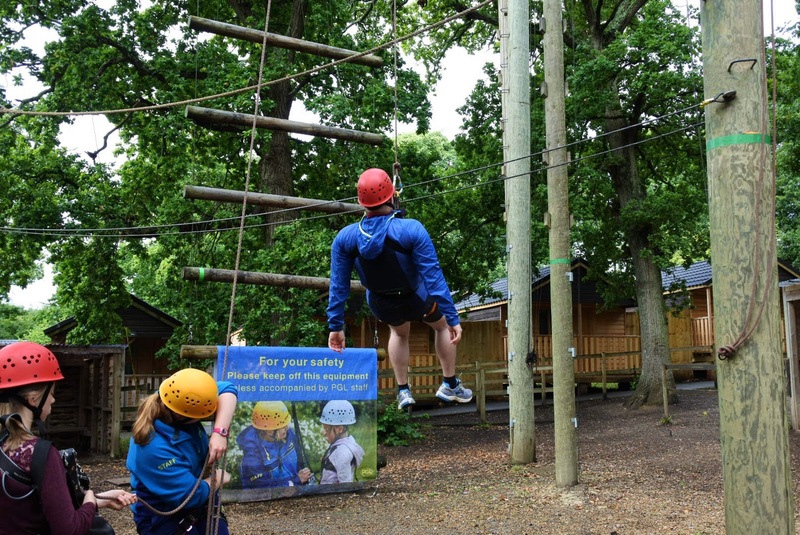 The Low Ropes allowed the members of the group who suffer with a fear of heights to participate in an off-ground challenge. But even close to the ground, negotiating obstacles and challenges was not as easy as it looked. It was a great confidence and communication builder. The day finished with Capture the Flag. An inclusive, high-energy game in which the cadets worked in teams to capture the opposing team’s flag, while avoiding being captured or losing their own. The final day commenced with All Aboard. This was a great teambuilding activity that required high levels of trust. 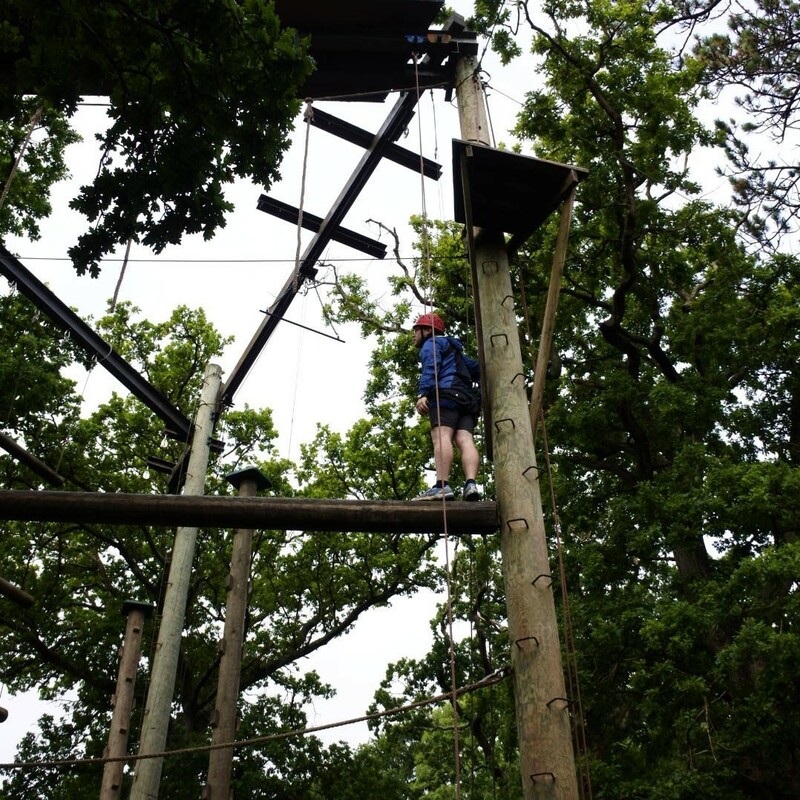 In teams of up to four, the cadets took turns to climb a six metre pole to reach a small platform. As each individual arrived on the platform, space at the top got more and more limited so it required teamwork, good communication and plenty of peer encouragement. Tunnel Trail followed before we left the centre. The group explored a series of underground tunnels. The tunnels varied in size and there were various tasks to carry out. Completing the tasks helped improve self-confidence, thinking skills and teamwork. After lunch we pushed off for home via the ferry and more burgers before handing the young people back to their grateful parents. We would like to thank the Ulysses Trust for their much needed help with this getting this expedition within the reach of the young people of Rotherham. They had experiences that will stay with them for their lifetimes.